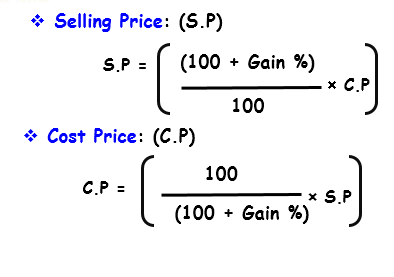 If Selling price is greater than cost price, the seller is said to have a profit or gain. 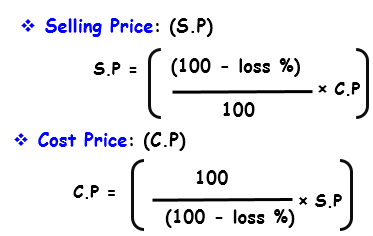 If Selling price is less than cost price, the seller is said to have incurred a loss. 8.Vijay bought a laptop for $8,000 and spent $500 on its spares. He later sold it for $9,500. 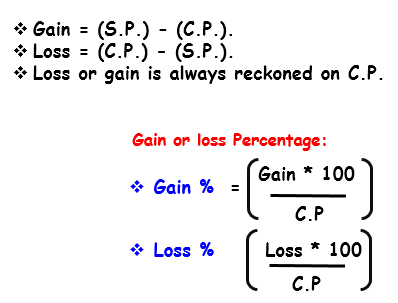 Find his gain or loss percentage?